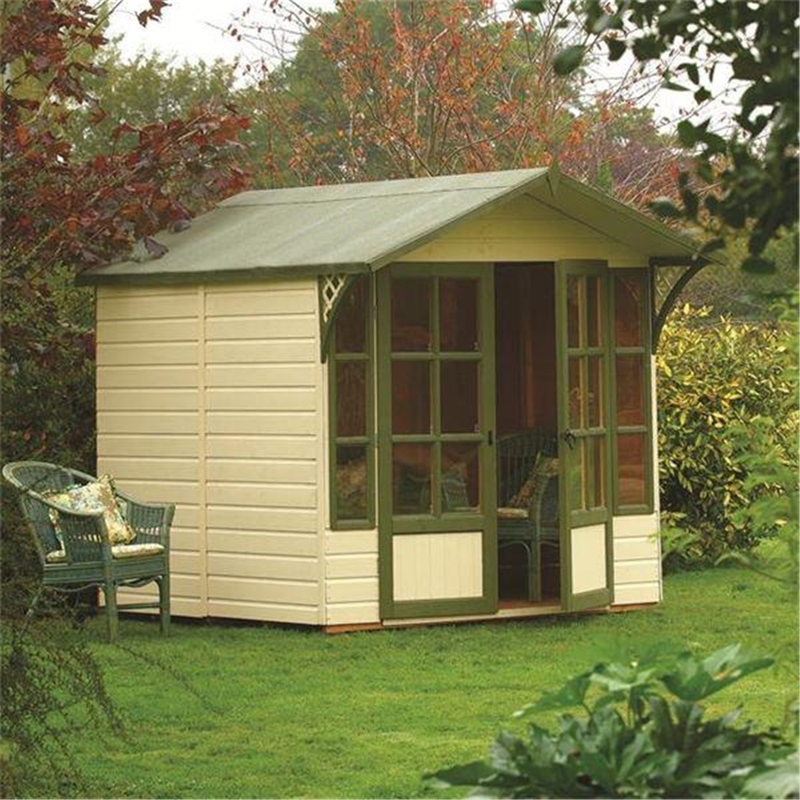 Double doors, 9’ x 7’ deluxe summerhouse, great shed to have in your garden and can be used for storage or lounging and has a roof overhang for shelter and shade. This Summerhouse provides a perfect place to enjoy those summer days. Its roof overhang offers a sheltered/ shaded spot and the four opening windows allow a large amount of light to enter the Summerhouse. 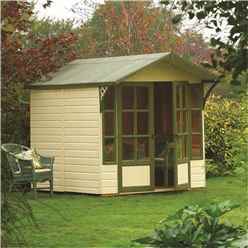 The dipped honey-brown finish gives the Summerhouse an aesthetic look.